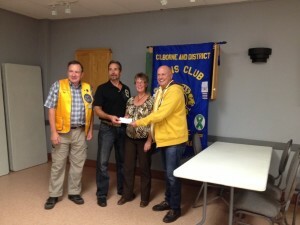 We thank the Colborne Lions Club for approaching us to jointly host the Corn Roast held Sunday, August 23. The event was well attend and plans are underway to make this an annual event. We would also like to thank all who volunteered that day to make the corn roast a success. We couldn’t have done it without you. Below is a photo of the cheque presentation held this past week.